The majority of all people have experienced lack—needing more resources than were presently available. What the majority of all people have not done is studied God’s word to learn of His desire to help them. You see, when most people ask God for help, it’s not rooted in the promise of His Word in faith, but more of a cry of desperation. These cries of desperation often carry about as much faith as the breaking of a wishbone or the carrying of a rabbit’s foot. 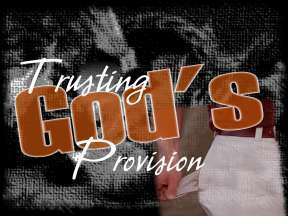 Its only when you study God’s character, covenant, and promises that you sprout the kind of faith that moves God and builds immovable trust that pleases God. This is the kind of faith described in Hebrews 11:6 (NLT), “And it is impossible to please God without faith. 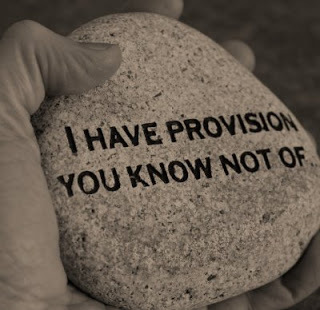 Anyone who wants to come to Him must believe that God exists and that He rewards those who sincerely seek Him.” Jesus taught his 12 disciples the lesson of supernatural provision early on in their walk with Him. .
You probably know the end of this story. Jesus prayed over that food and it was supernaturally multiplied to feed the multitudes—every last person, and with food left over! 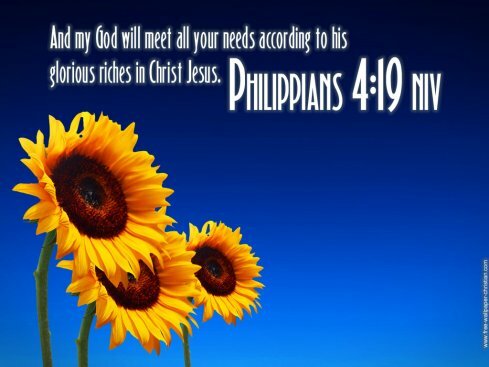 In other words, the Lord supernaturally and miraculously increased the meager resources they had available. Can the natural mind ever truly comprehend such a thing? If you’ve ever been short resources, you know the pressure that lack can bring. It creates stress. It brings fear, anger, resentment and worse. It brings out the worst in people. Couples fight and divorce over it. Our mind screams doubts at levels that drown our ability to ask and believe God in faith for help. If we let our mind override our heart at times like this, our faith is diminished and unbelief steals the provision of God that could come by faith. Naturally-minded people have difficulty thinking beyond their logic—measuring all that they believe by what they can take in through their senses. People that think with only their brain, seldom yield to the leading of God’s Spirit within their heart. There is an entire dimension of God they miss out on. They unknowingly cheat themselves of supernatural blessing that manifests only when one lets the Word of God speak faith to their heart. God gave us minds to be renewed to His Word so that our thinking and faith could be in harmony and agreement with God’s Word. As Romans 8:14 (NLT) says, “For all who are led by the Spirit of God are children of God.” As believers of Jesus, we can move from natural thinking to faith-filled thinking based on God’s promises and covenant with us. There are things we see through faith with spiritual eyes and spiritual thinking. For example, Proverbs 11:24 says, “One man gives freely (generously,) yet gains even more; another withholds unduly, (is stingy) but comes to poverty.” The man who gives generously trust that God will bless him in all areas of his life. The other man is stingy and believe that unless he holds on to everything, he’ll lose it all. That is the difference between spiritual thinking and trusting God, and natural thinking and having to make things work on your own. Money and resources aren’t to be desired to consume upon our own lust. God doesn’t want us to grow a love for money. But don’t confuse that with the sincere needs of your day-to-day living and equipping for whatever God has called you to do. And don’t limit your faith thinking He is unwilling to bless you with good things or good equipping. God does not lack resources. He loves those who have received Jesus as sons and daughters and desires to bless and meet their every need, making the impossible possible. It’s up to us to seek God until we become convinced of His goodness—something He is and promises us throughout scripture. We must have the heart revelation that He yearns to care for us through the exercise our faith in prayer. There were 12 baskets left over after everyone was fed at the end of this story. Was God being a little wasteful? Did He get carried away in His provision in this miracle? No He left more than enough for those that wanted or needed more along their way home. He also blessed that little boy back with more than he could probably carry home. That little boy couldn’t possibly know that his little offering to the Lord would result in the provision of everyone. He didn’t need to know. He only needed to respond to the prompting of his heart sharing what God had given Him with those around him. God will always do the rest. That’s our God. And that is where supernatural provision begins! At the beginning of this year, for the first time in 15 years of writing, I added a donate button to this site. I did so because Fresh Manna has grown immensely—read in over 195 countries in the last few years. I am now expanding what we are doing and invite you to help. If you have ever been helped by my writing, then I encourage you to be a help. No gift it to small or large. Please consider it. You can read what we are doing here. How Your Donations are Being Used. Thank you in advance for your help! Thank you, Pastor Tim, for another excellent devotional, I really do appreciate it. It’s very easy to look at our needs through our natural mind, but when we see it through the eyes of Jesus all things become possible! I thank God for his promises and I thank God that we don’t have to go by what thought thought but we can go by what the word says and stand on the promises of God! 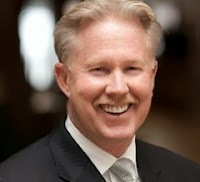 Have a great 2019 Pastor Tim. Thank Again Roy! God bless you in this New Year to come! Renee and I pray that this coming year is filled with His blessing and favor, and that you’ll experience the touch of His love and presence again and again as He leads you in His path and plan for your life! God bless you richly and love from the Burts! That was awesome! Thank you for this message! Thank you Audrey! God bless you richly! Always the right thing at the right time!